A quick view of the most influential metrics in Birchwoods Subdivision-Novi Mi. Birchwoods Subdivision Novi Mi is a small community of 45 homes, surrounding a park (common area). Homes are on Birchwoods Dr., Wixom Road and Delmont Dr. Birchwoods Subdivision was started in 1986. It is adjacent to two Island Lake subdivisions and close to Island Lake. All homes in the sub are on 1/2 to 3/4 acre lots or more. 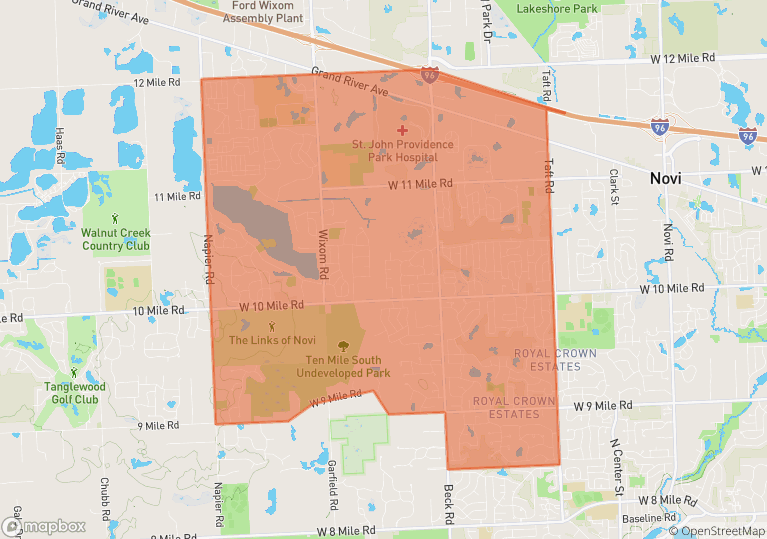 Our location is convenient to Novi Shopping, unique Brighton and Livonia restaurants and the happening towns of Walled Lake, Milford and Wixom. The park is in the center of the neighborhood and it has a great sledding hill for the kids in the winter time. The neighborhood is in a very desirable area, since it is in the exclusive area of Island Lake Subdivisions and exclusive Tollhouse Brothers Builders homes that are priced from $400,000 to over 2 million dollars.Birchwoods Subdivision is located in the award winning school district of Novi, and your children can attend the great and newer schools of Deerfield Elementary, Novi Lower Middle Schools, huge and almost new Novi Upper Middle School, and Novi High School. All of these schools are modern facilities for a superb education and they are air conditioned. Birchwoods students are assigned to Novi School District. Novi community school district operates 1 high school, 2 middle schools, and 5 elementary schools. Deerfield Elementary School is 1 mile north of Birchwoods. This school is rated 9 out of 10 by greatschools.org. It has 432 students enrolled and accepts K-4. Students: teacher ratio is 15:1. Novi Middle School is adjacent to Deerfield Elementary School. This school serves grades 7 and it 8. There are 1056 students enrolled as of 2015 and teacher to student ratio is 1:35. It is rated perfect 10 by greatschools.org. Novi High School is 3 mile east. This school has 2,020 students enrolled and teacher to student ratio is 1:17. It’s given a rating of perfect 10 by greatschools.org. GreatSchools Ratings provide an overview of a school's test performance. The ratings are based strictly on test score performance for that state's standardized tests. There are also private options close to Birchwoods. View our selection of available properties in the Birchwoods Subdivision-Novi Mi area. Check out the latest demographic information available for Birchwoods Subdivision-Novi Mi. Learn more about schools near Birchwoods Subdivision-Novi Mi complete with ratings and contact information. Browse through the top rated businesses in the most popular categories Birchwoods Subdivision-Novi Mi has to offer.